Independence Day often comes with fireworks, watermelon, sunshine and gratitude for the USA’s independence. It’s often while traveling and experiencing other cultures that one gets an even greater sense for what makes our country unique. One day, consider giving your time in a country that doesn’t have many of the same privileges to which you are accustomed. Celebrate some of the beauties in other cultures and experience a renewed joy in your own. Especially for the children of Cambodia. If you have been to this spectacular country, you are familiar with the welcoming, kind, and warm-hearted people who always meet you with a smile. However, theirs is a home that is still slowly recovering from years of bloodshed, death, and chaos, leaving the majority of the population living in daily poverty. Despite recent global efforts to help the citizens, it is a country still rife with need. 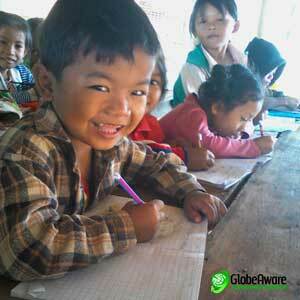 Even if you are unable to take a volunteer vacation to Cambodia, there are still ways you can help! Consider contributing to our joint effort to build restroom facilities and a well for clean drinking water for a village school in the outskirts of Siem Reap. Currently, the school is without such facilities, which makes it difficult for teachers, students, and volunteers who wish to teach English at the school. The village is very poor, and the majority of children (as well as their families) are without access to restrooms or clean drinking water. Looking for a unique opportunity to help small communities create a sustainable future in the rainforest paradise of Costa Rica? Potable water system updates – Replace cracked lines and storage tanks. The current system is old and needs major maintenance. Grey water filtering system – Extend black water system by reusing filtered gray water for gardens. Community organic greenhouse / nursery – Generate income for locals from selling native trees and plants. 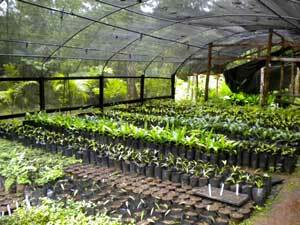 Additional income from government grants to reforest using native trees. Community organic food garden – Provide nutritious well balanced meals to school children in schools. Supplements the basic rice and beans the government provides to the schools. ½ cup dried shrimp, pre-soak in water about 30 mins. Heat a small pan and lightly oil it. Add dried shrimps and give it a quick stir. Fry it to give them a nice crispy texture. Transfer to a mortar and pestle and lightly pound it to break up the fibers. This will allow the shrimp to absorb the flavors from the dressing but also retain that nice and crunchy texture. Set aside. In a large bowl mix together lime juice, fish sauce, sugar, salt and fresh chili. 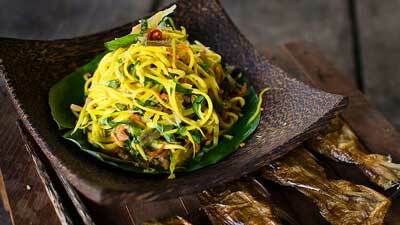 Add shallots, green mango, dried shrimp and fresh herbs. Toss the salad to combine. Facebook recently converted our old Globe Aware Volunteers page. The new format doesn’t allow an easy way to post and share photos. To share photos, friend and then post to “Shanti Shahani GlobeAware”. Dallas, Texas 75214-2497 HAVE FUN. HELP PEOPLE.